In This Episode: The Hewlett-Packard fire that destroyed early Silicon Valley History is anything but Uncommon Sense, but you can learn from it: it’s a real “Wake-Up Call”. In This Episode: Can you really develop Uncommon Sense? From none to some, and from some to more? Yes: it can grow, get stronger, and help you in your life — or even save your life. Here’s how. Special Note: This episode is running out of order since it’s very timely, and becoming a news story. It was recorded yesterday, after Episode 17 was recorded (as promised, that one is about how to develop Uncommon Sense). So I’m swapping the order, putting #18 out not only before #17, but on Thursday instead of next Monday. Episode 17 will come out at the “regular time” on January 28. In This Episode: The “challenges” we see on Facebook: just a bit of fun? A way to share of yourself to your friends? But when you “challenge” the challenge by applying some Uncommon Sense, you might not want to play along. I was amused by the story of “Knickers” — I saw it online, but decided the “giant cow” story wasn’t really worthy of True …and then saw it again and again and again and again! (see photo below). Sometimes I Smile, Sometimes I Roll My Eyes: About the news business, that is. As a news commentary column, news is, of course, the road this publication drives on. Here’s what I mean. Last weekend, I saw someone post that Eric Ward was dead. The name rang a bell for me — someone from my past in online circles — but I couldn’t quite connect it, and asked an online friend from the 90s if he knew him. The name didn’t connect for him. Still, it was really familiar, but I couldn’t quite figure it out. I Wanted to Cover a Story, but I knew there was no way I could put it in the newsletter: it would cause the issue to be trapped by about 90 percent of readers’ spam filters. Hillary vs. Trump: The Votes are In! I Really Hate to Keep sending traffic to Facebook, since they’re eating the Internet already, but man, have I been having fun there lately. Baiting the political partisans is like shooting fish in a barrel: easy and hella fun. Continue ReadingHillary vs. Trump: The Votes are In! The threat from criminals online continues to grow. It’s not just “hackers” but actual criminal activity, backed by organized crime, and perhaps even some governments. They want your passwords, especially for bank and other financial accounts, so they can drain them for you, and they use some pretty tricky and often sophisticated means to get them, either from you, or from sites they break into. In June, This is True celebrates 21 years online — a pioneer in online publishing that predates Facebook, Google, Amazon, and the vast majority of other web sites you can find online today. Facebook: What Are They Selling? Some time ago, I “Liked” the This is True Facebook page, but almost never see any posts. I figured you weren’t active until I went back to the page, and saw a ton of stuff I thought was great! How come I’m not seeing it regularly? I see most posts from my friends. Continue ReadingFacebook: What Are They Selling? OK: Call Me a Contrarian. 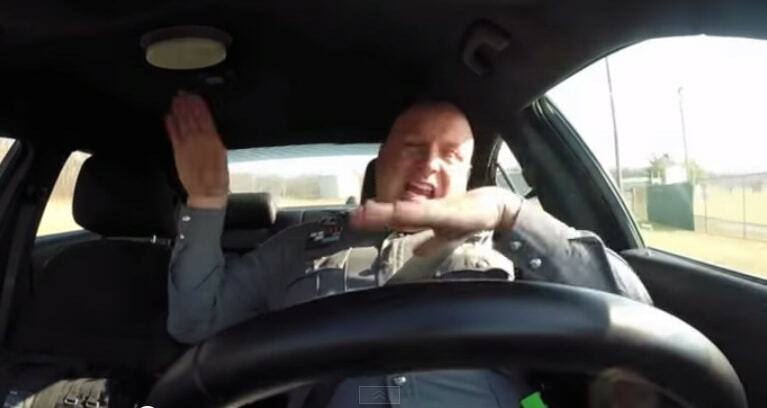 Sure the lip-synching cop was entertaining! The song is fun, and who can’t like the earnest and drop-dead gorgeous (and cute! — see below) Taylor Swift? But really: we are in a cycle of big distrust of cops in this country, so their solution is to lie about just happening to find this video of the cop in their random review of dashcam footage?